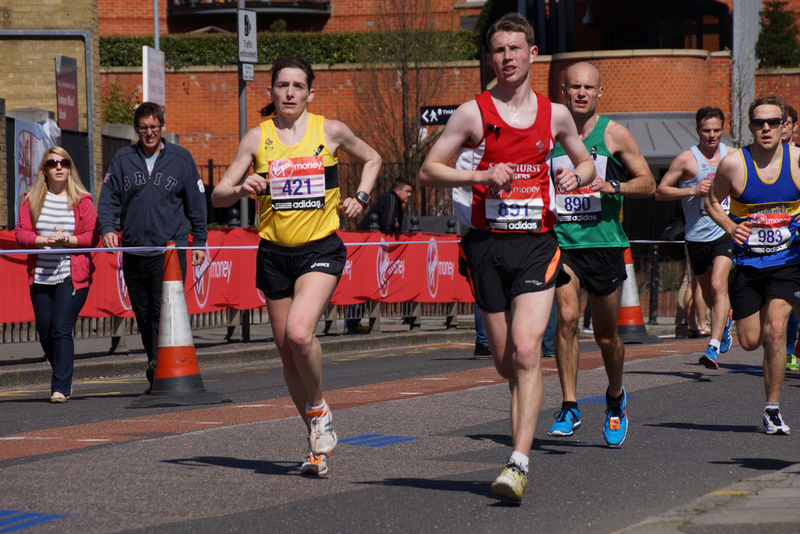 The Milton Keynes Festival of running has a little bit of everything for all types of runners, it has a 5K, 10K, half marathon and a 20 miler. I entered the 20 as it is perfect timing for both Brighton and London Marathons which I am doing. If I take you back; I first discovered this race in 2016 as I was looking for a 20 mile race that wasn’t Bramley as i do not like that race! Last Year Kate Parker completed this event and I remembered the warning I gave her for the last two miles. Anyway, as the start wasn’t until 9:50 I knew I could have a little lie in and then bomb it up the motorway to Milton Keynes. I arrived at 9am and parked in the same place as 2016 and started talking to another runner from Coventry who was also a Watford fan – poor guy! We walked to the start together discussing the demise of my Club Portsmouth. We arrived at the Xscape Centre, however it was very low key and no real race village, but a plethora of toilets which meant no queues. Even with 5 minutes to go before the start! After a short mile warm up I lined up on the start with a 1000 other runners, next thing you knew we were off. The first couple of miles were downhill and I noticed there was a pacer in front of me pacing 2:45, who had set off like it was the start of parkrun! After a mile I went past him and started the first of two long laps around Willen Lake and along footpaths and underpasses (similar to Bracknell Half). I spent most of the first lap on my own chasing down the runners in front of me. Upon commencement of the second lap, two runners came flying past me and I thought they must have started late! I then realised they were the half marathon leaders which started an hour after us. The course then started to get congested as the faster half marathon runners were overtaking us 20 milers. This was good and I decided to pick up the pace, once the second lap was completed, you turn left under an underpass, this was at mile 18, the route starts to rise and doesn’t stop until you finish. I suddenly remembered the big hill at mile 19, this was tough but I made it up and completed the course in 2 hours and 35 minutes . I jogged back to the car and raided Budgens for some food. I met up with the Coventry runner and we both said how much we enjoyed the race and agreed to follow each other on Strava. I then make the 70 mile journey home. Overall an excellent race to test the legs just before a spring marathon and I would highly recommend, just remember the hill at the end!